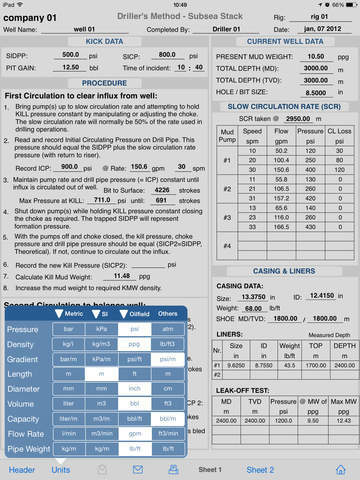 This application uses the worksheets (also named of Kill Sheets) based on standardized worksheets of the methods to control oil wells after the occurrence of kick during drilling operations on floating rigs with subsea stack and rigs with surface stack. 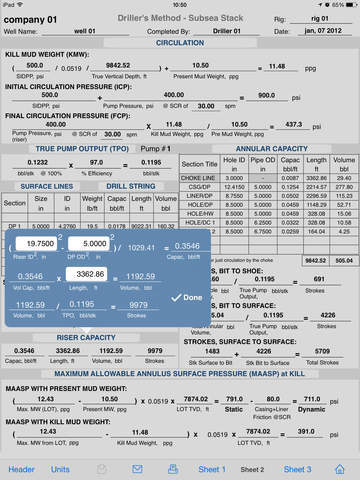 – Option to select "Subsea Stack" or "Surface Stack"
– iCloud Support: Sharing data files with version for OS X. 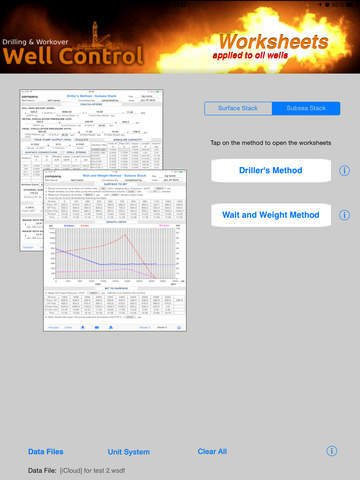 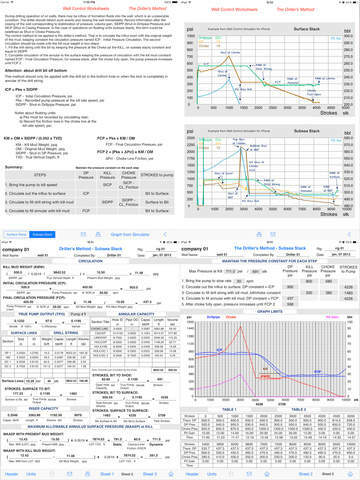 – Ability to importing well data from other apps on iCloud: Drilling Hydraulics, Kick Tolerance, Well Control Methods, Drilling Simulator, Leak-Off Test Simulator and Well Control Simulator. 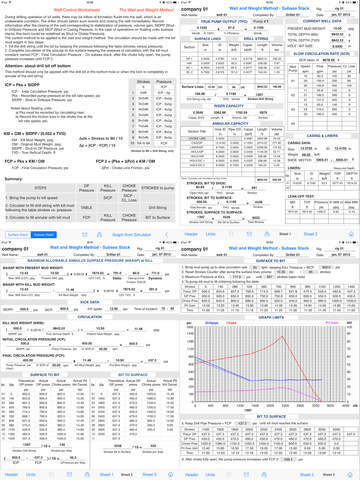 These tools & materials are provided ‘as is’ without warranties of any kind, express or implied.